Jürgen Kalwa, gave a most interesting talk on what brought Lance Armstrong down and the "network of enablers" - individuals & corporations and sponsors - that allowed Armstrong's doping and deceit to continue as long as it did. 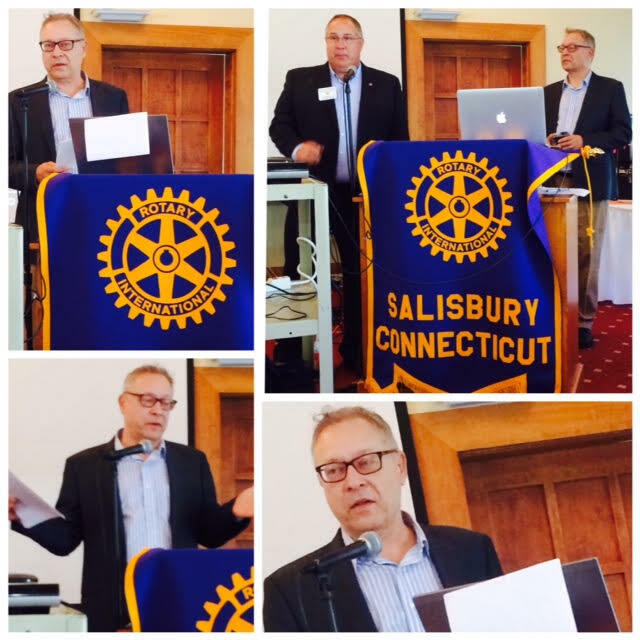 A print, radio & video journalist and foreign correspondent for Germany's NPR equivalent, our speaker has authored several books and lives in Sharon (CT). Shown here with club president, Kevin O'Connell.